An international research team has for the first time identified nine genes responsible for eyebrow colors, according to a new report published in the Journal of Investigative Dermatology. Eyebrow color shows a high degree of variation in Europeans. Moreover, hair color and eyebrow color are not exactly the same. Many people with brown hair have black eyebrows. Using the method of genome-wide association study, researchers from China, the Netherlands, Australia, Britain and the United States analyzed samples of 6,513 European individuals, and graded colors into four categories: red, blond, brown and black. They found that eight genes were previously known pigmentation genes and could affect both eyebrow and hair color, such as gene variant MC1R, responsible for both blond eyebrows and red hair. In addition, C10orf11 is the newly identified gene that only affects eyebrow colors. Eyebrow color is controlled by genes that affect production of pigment. Melanin, for example, is a protective pigment that can block the ultraviolet radiation. Melanin-related gene abnormalities can lead to many diseases, such as albinism, and increase the risk of skin cancer. 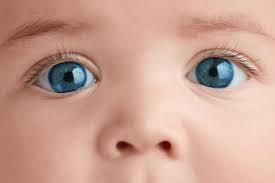 Therefore, an in-depth understanding of the pigmentation genes will help improve the treatment of these diseases. Studies of pigmentation genes are also important to understanding human evolution. Modern humans evolved in Africa, but their pigmentation genes varied to acclimatize new environment when they populated the rest of the world. Most people’s skin darkens after migrating toward the equator where the solar radiation is stronger than other places. While, as some of these original people migrated and settled in areas of Asia and Europe, the pigment production decreased in climates where radiation from the sun was less intense. This eventually produced lighter human skin color. Liu Fan, lead author of the article and researcher at the Beijing Institute of Genomics of the Chinese Academy of Sciences, said such a DNA-based eyebrow color prediction model would improve the human phenotype research and be useful in future forensic applications. “Based on the new discoveries, we can more accurately infer individual hair, eyes, skin, eyebrow color and other phenotypic information just from a DNA sample,” Liu said.